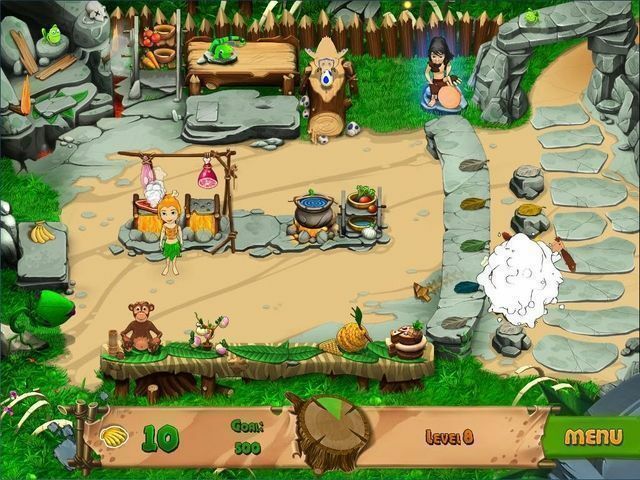 The Stone Age is calling, and it's hungry! 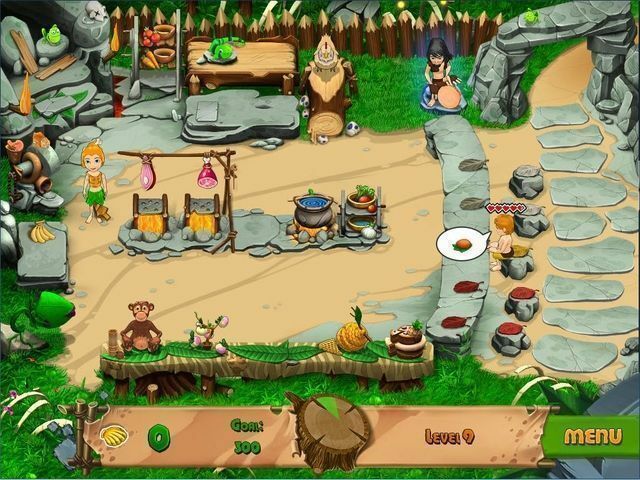 Guide a young cave girl as she works hard to feed everyone in her village. Can you keep your people from starving before the Bronze Age arrives? Their fate, and their lunch, is in your hands! 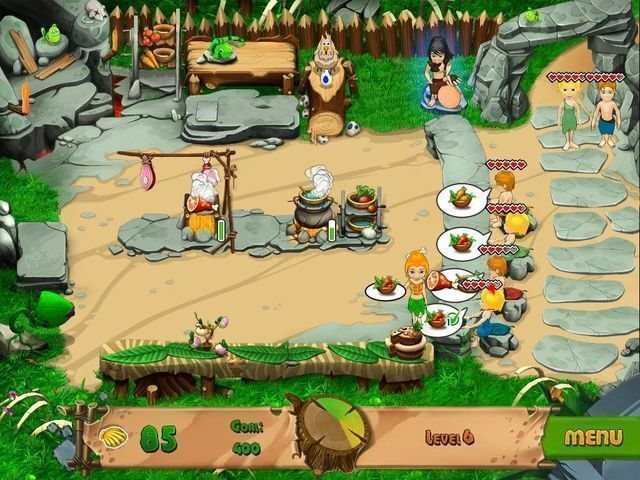 The Stone Age is calling, and it's hungry! 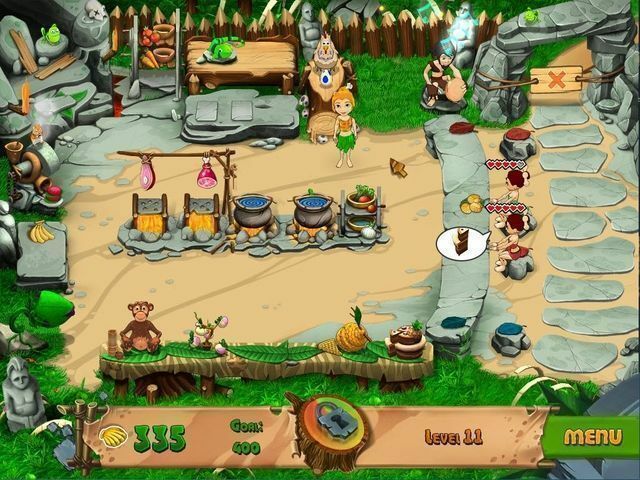 Guide a young cave girl as she works hard to feed everyone in her village. 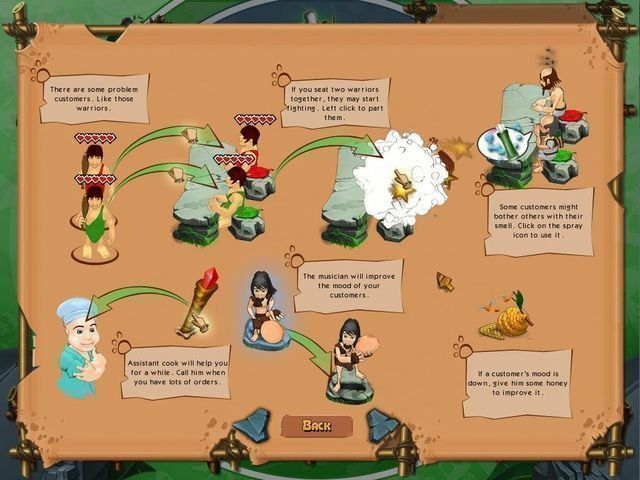 Click and drag customers to their seats at the cafe, prepare and serve their food, and clean up their mess in this charming time management adventure! Earn extra cash for seating your customers in chairs that match the color of their clothes, break up fights between hotheaded cavemen, and serve your customers quickly before they blow their top and leave! 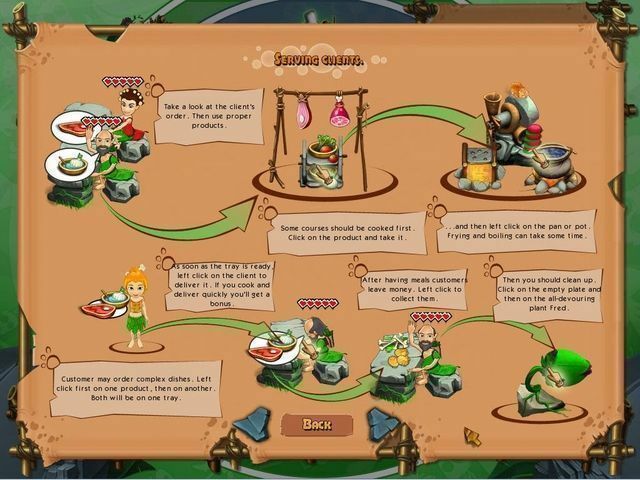 There's never a dull moment as you use strategy to perform the same action several times in a row to earn bonus cash, and then spend your earnings on upgrades for your cafe. 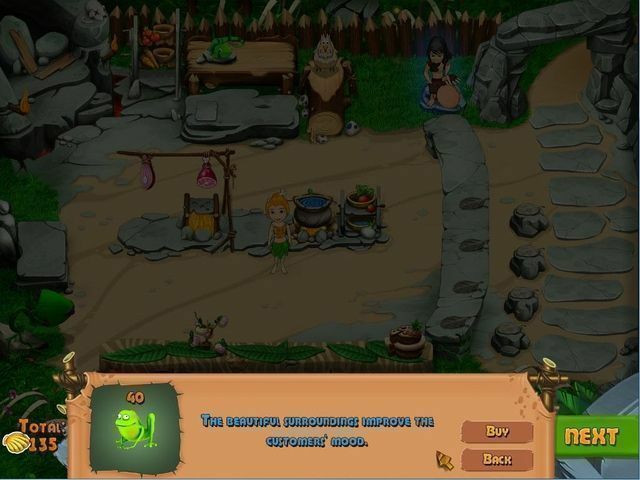 Each level brings fresh challenges in the form of new dishes and customers with unique personalities. Can you keep your people from starving before the Bronze Age arrives? Their fate, and their lunch, is in your hands!